The Student Sustainability Council has a several-year plan for implementing renewable energy sources and plans to work on campus's water infrastructure before disposable water bottles are banned. 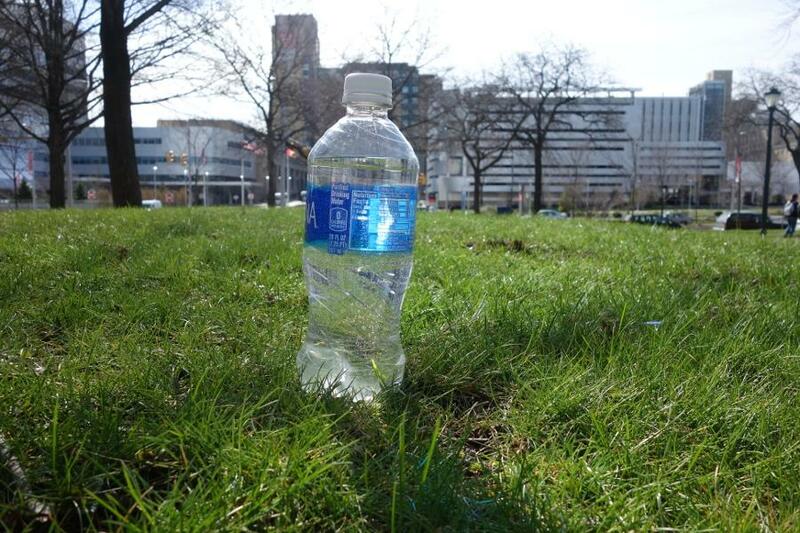 Campus may soon be losing plastic bottles and gaining sustainable energy. The Student Sustainability Council (SSC), an ad-hoc committee under the Undergraduate Student Government (USG), proposed two resolutions that were passed at the March 29 General Assembly meeting. Going forward, those two resolutions—A Call for the Immediate Implementation of an Ethical Grid Energy Plan to introduce more sustainable energy and a proposal to ban plastic water bottles on campus—may bring about big changes for Case Western Reserve University. The Seize the Grid campaign is a movement sponsored by the national environmental organization, the Sierra Club, to power all universities across the country solely by renewable energy before the year 2030. According to Grace Cammarn, chair of the SSC, CWRU’s specific variation is called the Ethical Grid Energy Plan. “We sort of tailored a plan that would work specifically for the University,” said Cammarn. The SSC’s plan is set up in stages. By 2018, they want to be purchasing 50 percent Renewable Energy Credits to cover electricity bills. By 2020, they hope to increase that to 100 percent. In 2025, they want to scale down the Renewable Energy Credit purchases in favor of more local electricity generation. By 2030, they hope to reach their end goal: to produce 100 percent of the university’s electricity locally. Renewable Energy Credits, or RECs, are informal “certificates” issued by various environmental and/or power companies that confirm that a person or organization (such as the SSC) has paid to support a source of renewable energy somewhere in the country. While the SSC does see this as a progressive system, they have also identified some issues. Eventually, however, the RECs will be phased out, hopefully replaced entirely with locally generated, renewable sources of electricity. According to Cammarn, this last step is more realistic than many might assume. According to Cammarn, the SSC would like to follow in the footsteps of universities like Ohio State University, which uses energy from a wind farm near campus that produces 153 million kilowatt hours of electricity a year. CWRU uses 119 million kWh per year, meaning such a project could realistically power all of campus. According to the results of surveys done by the SSC, students largely support the proposal. The second resolution passed at the USG meeting would be a dramatic change: banning all disposable plastic water bottles on campus. The Council arranged a showing of the 2009 anti-bottled water documentary “Tapped” in Strosacker Auditorium on April 11. The film presented facts and statistics about the risks of drinking bottled (as opposed to tap) water. Third-year student Aviva Gersovitch started this initiative during the summer of 2015, as a part of her project for the SURES/SOURCE program. Although it soon became a central issue for the SSC as a whole, Gersovitch remains one of its staunchest advocates. That doesn’t include the pollution caused by such containers, or the various concerns about toxic chemicals (such as Bisphenol A) that many experts feel could easily “seep out” of the bottles into the water they contain, according to the documentary. The documentary also stressed that water is an especially vulnerable substance to such contamination, both because of its physical and chemical nature and because it is such a vital necessity of daily life. Although other beverages (sodas, sugary drinks, etc.) are also susceptible to the negative effects of plastic bottles, they are apparently not affected as strongly. Gersovitch also notes that bottled water companies claim that their water is purer than other water, which can be misleading or simply false. “The issue is that companies market bottled water as being ‘safe’ and ‘pure,’ when that’s actually a false claim,” said Gersovitch. USG did pass the resolution, but there were a few objections raised. Chief among these objections was the argument that banning water bottles would increase the number of sugary drinks purchased on campus, as well as the number of plastic cups overall. Gersovitch feels that these objections are ill-founded and based on data coming from flawed studies conducted at the University of Vermont and multiple other universities at which such policies have been implemented. These studies have reported no adverse effects. As for the problem of what students living in the many buildings on campus without alternative water sources (water fountains, vending machines, etc.) will have to do if the ban is enforced, Gersovitch acknowledges that this is an issue. However she is confident that the problem is on its way to being solved. Regardless of the present logistical challenges, Gersovitch feels firmly that the ban is a cause worth supporting.